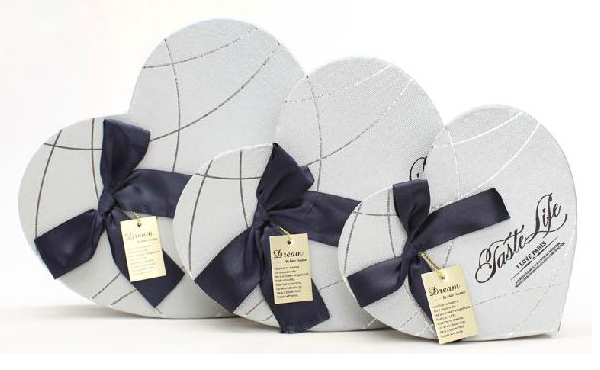 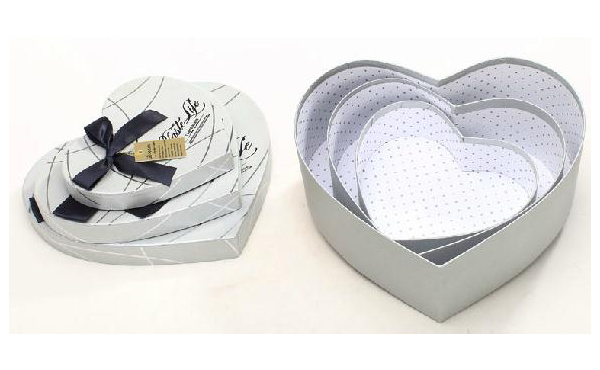 Heart shape gift boxes are the perfect selection to wrap speial gift itmes for evens and other occasions.Heart Shape Gift Boxes at www.4giftpack.com come in 4 designs and 3 size.Those heart shape gift boxes are made from 1200g paper board covered by art paper with matt lamination and creative design,ribbon bow,gift tag and hot stamping text. 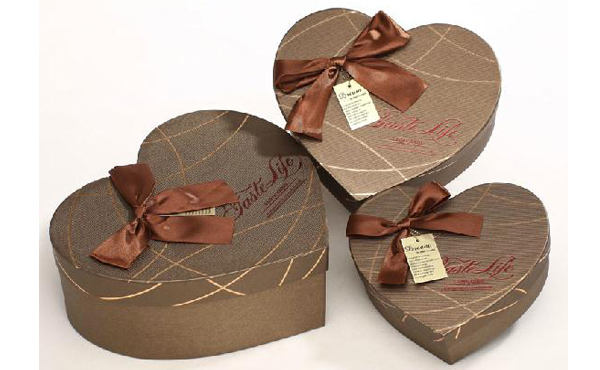 sized to stack inside each other to save space and freight.Custom Logo can be printed on boxes by hot stamping. 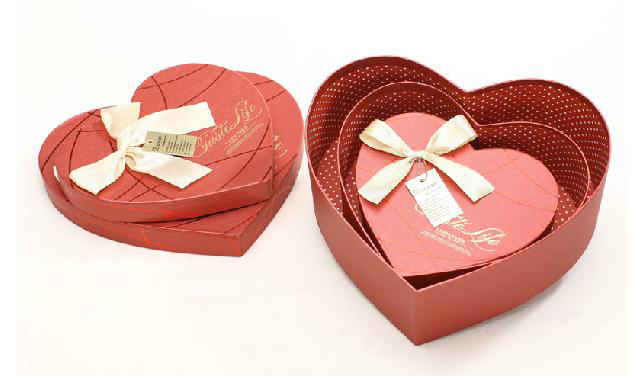 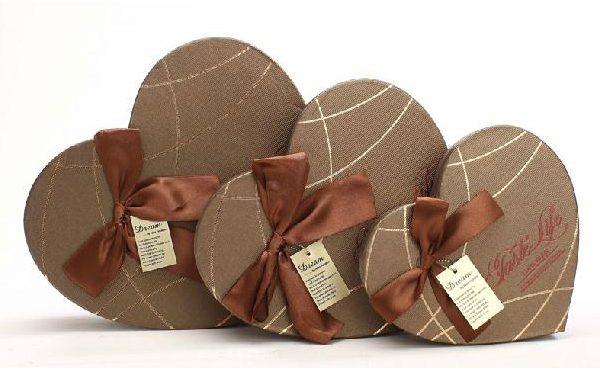 The advantage of rigd boxes is that they are available in any shape and any size,so if you want a special shape gift boxes with strong pretection for some speial event and occasion to present your warm blissing,heart shape gift boxes are perfect selection.At 4GiftPack,Heart Shape Gift Boxes come in many themes and sizes to fit different occasion,party,events.With ribbon bow,gift tag, no matter what gift you want to wrap, heart shape gift boxes speak more message to whom get them,You can print your blissing or business logo on boxes by hot stamping to get a personalized gift box to make your gift more special. 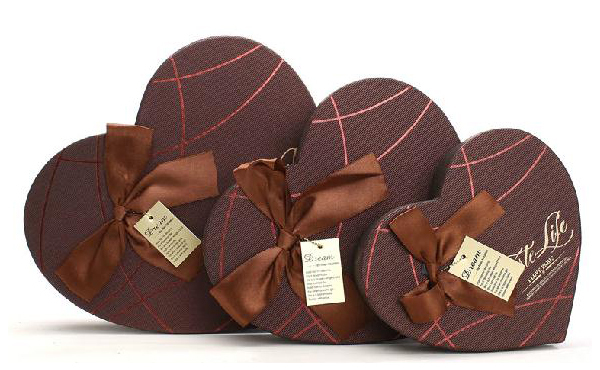 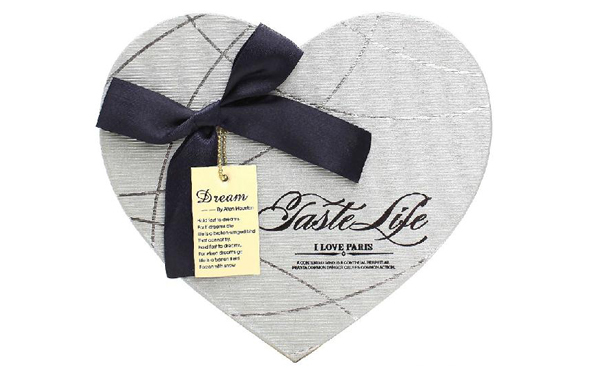 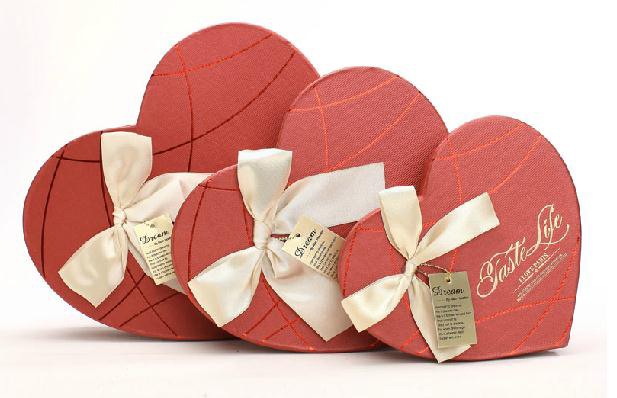 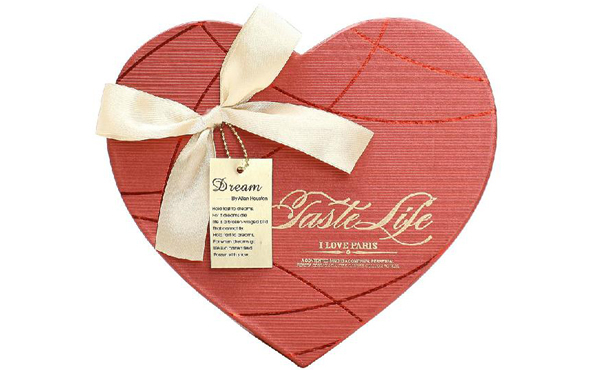 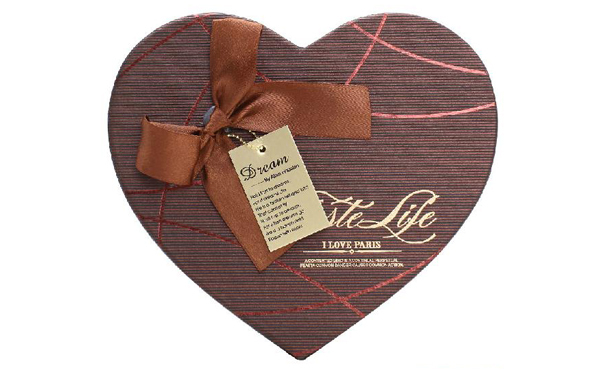 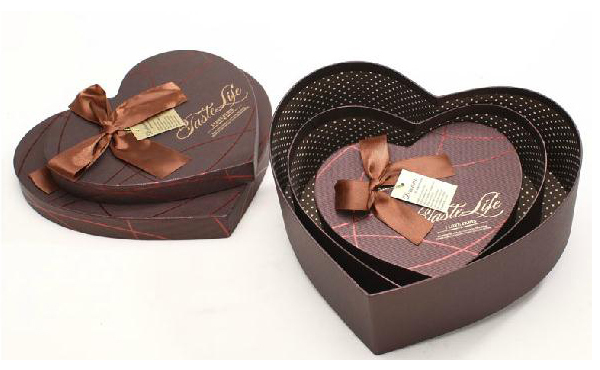 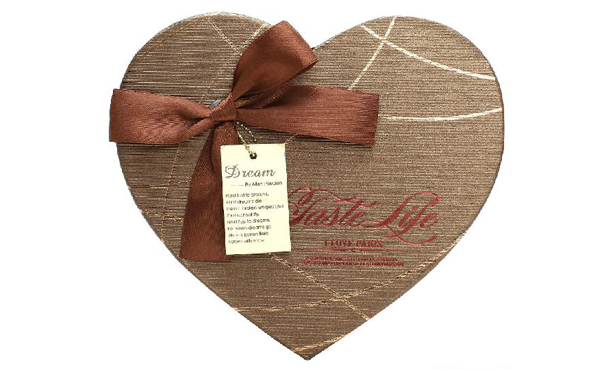 At www.4giftpack.com, Heart Shape Gift Boxes come in 5 design and 3-4 size,coming in some popualr size,4GiftPack also offer custom made rigid boxes with heart shape that can be made by your specification to fit your requirement at size and shape.